BBC radio has (or certainly had) a long association with the Cambridge Footlights, with the student drama club providing a rich source of on-air comedic talent and radio producers. 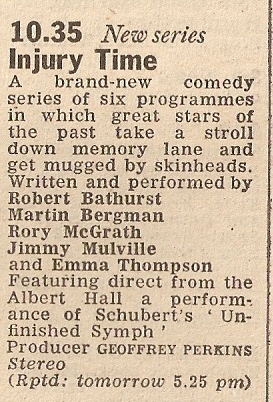 The cast of Injury Time were all Footlights alumni with three of them being past presidents: Jimmy Mulville in 1977, Martin Bergman in 1978 and Robert Bathurst in 1979. The other two participants were Emma Thompson and Rory McGrath. 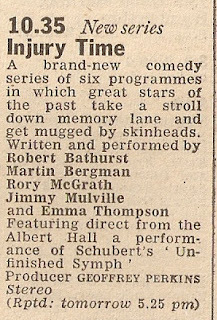 The sketch show Injury Time was one of the those Radio 4 shows that used to be dropped into the schedule to fill the summer recess when Week Ending was taking a holiday. Some lucky ones enjoyed more than one series - Injury Time was one such and ran over three years (1980-82). To add to the show's comedic pedigree, and overseeing proceedings, was producer Geoffrey Perkins (Oxford University) and contributing to the scripts were Guy Jenkin, Jon Canter, Douglas Adams, Clive Anderson and Stephen Fry (all Cambridge University, with Canter being Footlights President in 1974 and Anderson in 1975). For the second (1981) and third series (1982) Martin Bergman was replaced by another Footlights graduate Griff Rhys Jones, who'd already served time as a producer on Week Ending and the scholastic quiz Top of the Form. From 1 August 1980 comes my off-air recording of the first ever edition of Injury Time. At the time this series seemed to offer something fresh but listening back it does play safe, certainly safer than The Burkiss Way which it name checks in the closing credits - even if there is a Burkiss-style jokey continuity announcement at the end. It's nearest influence was probably Not the Nine O'Clock News and its perhaps no coincidence that Griff appeared in both. Listen out for an impression of the now persona non-grata Clement Freud "one of the few Liberal MPs not to be accused of... (Buzz) Deviation" and a short sketch using the Play School theme voiced by Emma Thompson whose Dad was, of course, on the pre-school programme in the 60s. The Musicians Union sketch references the industrial action taken as a result of BBC cutbacks to its in-house orchestras (and the dropping of Waggoners' Walk). The gymkhana sketch has Emma in Joyce Grenfell mode and to prove we're on Radio 4 there's a longer piece that relies on the audience's knowledge of Kafka. Mulville and McGrath went on to write and star in the Channel 4 sketch show Who Dares Wins and to found, with Denise O'Donoghue, the influential Hat Trick Productions company. Mulville continued to work mainly behind the scenes while McGrath tended to spend a lot of time on panel games. Bergman married US comedian Rita Rudner and has worked in Hollywood. Bathhurst appeared in the underrated Joking Apart and has spent years playing David Marsden in Cold Feet. As for Emma Thompson, she was never heard of again! This is the first in an occasional series of posts, i.e. when I can be bothered and/or find the time in which I'll dart around the alphabet in no particular order and delve into my archive of old comedy shows. I'll be picking those shows that rarely, if ever, get a repeat on Radio 4 Extra. For the nearly three decades Kenneth Horne was one of Britain's best known entertainers. His warm personable style endeared him to radio and television audiences alike. His versatility and manner meant that producers were happy to employ him as a compere, panellist, quizmaster or merely to help sell products in one of the popular admags. And to top it all he gave his name to two of the best remembered, and oft-repeated, radio comedy shows: Beyond our Ken and Round the Horne. Show business wasn't in Kenneth's blood but his father was the renowned orator, the Reverend Charles Silvester Horne, so at least, sitting watching and listening in the pews, he learnt how to handle an audience. At school, and later at Magdalene College, young Kenneth was a sporting all-rounder playing cricket, rugby, tennis (Bunny Austin was a friend) as well as track and field athletics events. Musically, he had a penchant for the odd Gilbert and Sullivan operetta. He threw himself into his sporting activities rather more than his academic studies and after missing a vital exam he was sent down from Cambridge in December 1927. When a promised job at the family firm - his uncle was Austin Pilkington of Pilkington Glass fame - failed to materialise he was recommended to a Colonel Clare, a director at the Triplex Safety Glass Company in King's Norton, Birmingham. Kenneth started on the shop floor but in time would start to ascend the management ladder, eventually becoming the Midland's sales director. 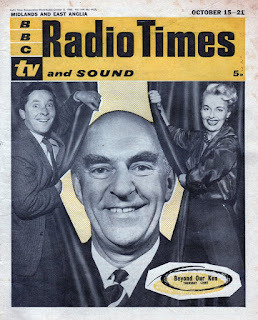 It's odd now to think of Kenneth Horne the famous entertainer leading something of a double life and throwing himself into the world of safety glass, travelling the country on sales visits - his generous expenses effectively supplementing his meagre BBC earnings. Even at Triplex he managed to get a taste for entertaining an audience. At motor shows he would demonstrate the effectiveness of the product by throwing a succession of objects a sheet of the safety glass. He also got the chance to speak over the microphone at the company's annual fete. He turned out to be a natural with "a clear, warm, friendly voice". In early 1939 he enlisted in the RAF Volunteer Reserve and as an Acting Pilot Officer was attached to a Barrage Balloon Unit at Sutton Coldfield. That posting to look after the 'Silver Monsters' turned out to be quite fortuitous in thrusting Kenneth onto the public stage. When war was declared he soon found himself moving both up the ranks, rising to Squadron Leader, and around the Midlands. In 1940, as a morale booster, the BBC launched a variety programme called Ack-Ack-Beer-Beer, the phonetic alphabet description for the Anti-Aircraft and Barrage Balloon Commands. Looking around the regions for local talent to take part Kenneth was tasked with pulling together a show for producer Bill McLurg. Kenneth was to introduce the acts and thus found himself in a BBC studio for the first time making his initial broadcast on 16 April 1942. The verdict on the show was not that great but Kenneth had stood out, he was a natural broadcaster and from the off sounded warm, friendly and confident. 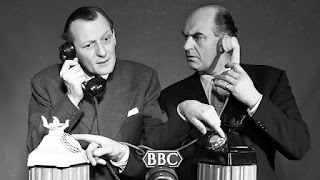 He was invited back and in time became one of the regular hosts for the rest of the run when production shifted from the regions to London, with Horne himself moving to the capital when he was transferred to the Air Ministry on Kingsway. Through a neat set of circumstances Kenneth found himself sharing an office with Richard Murdoch - 'Stinker' Murdoch of pre-war Band Waggon fame - in a section concerned with shipping Spitfires to Russia, though they were not exactly overworked as few Spitfires were actually sent to Russia. So to pass the time they set about developing and writing the comedy set on a fictitious airbase, Much-Binding-in-the-Marsh. Now probably best remembered for its closing song - which enjoyed a long after-life, even cropping up on Frost on Sunday in 1970 - it was unusual for the time as Horne and Murdoch both wrote and starred in Much-Binding-in-the-Marsh. Horne was cast against his real character as the slow on-the-uptake Senior Officer whilst Murdoch was the quick-thinking CO. Singer Sam Costa was drafted in as the put-upon aircraftman. Initially the comedy made only intermittent appearances, first making it onto the air as a segment of ENSA Half-Hour and then as part of Merry-Go-Round. It really only go into its stride in 1947 by which time ex-ITMA voice man Maurice Denham joined the cast. Much-Binding continued until 1954 by which time there had also been a (not entirely successful) series on Radio Luxembourg and the setting had shifted from an RAF base to a local newspaper office. Meanwhile Kenneth was popping up on loads of other shows such as host of Monday Night at Eight and, from 1949, starting an association with a programme that was to last almost twenty years. He first appeared as the chairman of Twenty Questions in December 1949 and subsequently acted as panellist or chairman until his final appearance in December 1968. Parallel to all this radio work he'd returned to Triplex as General Sales Manager for his day job with a punishing schedule of meetings and country-wide travel. Comedy writing and performing duties were confined to evenings and weekends. He maintained that, if asked to choose. he would have given up radio first. I was fascinated to read that around this time Kenneth started to have some behind the scenes help with his writing from a rather unusual source. In early 1952 he received a letter from a Miss Mollie Bernard enclosing some suggested verses for the Much-Binding song. They were so good that they were used in the next programme. A week later the mystery writer turned up at the Paris Studio to watch a recording and introduce herself to Kenneth. He was astounded to learn that she was a seventeen-year old schoolgirl from Kent by the name of Mollie Sharp. 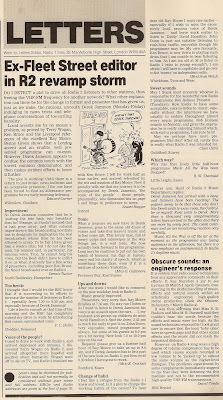 Despite her youth and inexperience both Kenneth and Richard found she had a flair for comedy writing and she continued to contribute sketches, lyrics and one-liners for Kenneth over many years including contributions for Beyond Our Ken and even writing whole articles for periodicals that appeared under Kenneth's name. She took a break from writing when she married a Salvation Army officer and began to raise her family but was back at the typewriter for the last seven years of Kenneth's career. Mollie never wanted any credit and any payments she received came out of Kenneth's fee. It was a remarkable yet hidden writing partnership. There were business ructions for Kenneth in the mid-50s when he was appointed as the Managing Director of the British Industries Fair Limited but was given the ultimatum of staying with Triplex or joining BIF full-time, so after 27 years with the company he tendered his resignation, losing his company pension in the process. Unfortunately BIF folded after a year or so but he was almost immediately offered the Chairman and MD role at Chad Valley, the toy manufacturers. Meanwhile his radio, and now television appearances continued unabated. 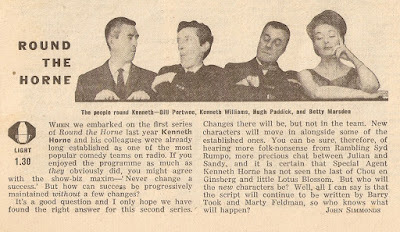 A search on BBC Genome shows that virtually a week doesn't go by with Kenneth being on. TV performances include Find the Link and Camera One and on the radio there was Twenty Questions and Variety Playhouse. Although Kenneth remained loyal to the BBC for many years he was keen to take on more TV work and by the end of the 50s was regularly taking the train up to the Tyne-Tees studios in Newcastle to record one of those admags, this one titled Trader Horne, that were so popular at the time. He also appeared on Anglia TV's quiz game I Packed My Bag, the comedy offering Ken's Column and later on Westward's game show Treasure Hunt, co-hosting the woman's magazine Home and Around for Tyne-Tees, Southern TV's Happy Families and its successor Celebrity Challenge and for ABC (later Thames) Strictly for Laughs and Horne A'Plenty. Meanwhile back on the wireless the idea for a new comedy vehicle for Kenneth, originally titled Don't Look Now, came about during his stint as compere on Variety Playhouse when Eric Merriman and Barry Took were taken on to provide the funny lines. In the summer of 1957 Merriman set out his ideas to producer Jacques Brown: "The formula is based on a week in the life of Kennth Horne, broken into three actual spots, one to vary and the other two constant. In support we will be able to remain fairly flexible, going for either character actors with a wide range of voices or revue artistes. Meanwhile there will be two spots to break the sketches". He went on to gives ideas for suggested spots including the weekly documentary feature Hornerama. 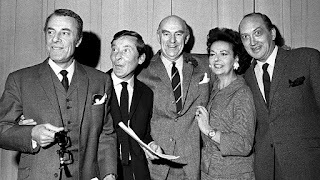 What transpired was Beyond Our Ken and the structure and cast remained fairly constant for the next decade or so throughout the life of the show and Round the Horne that followed. 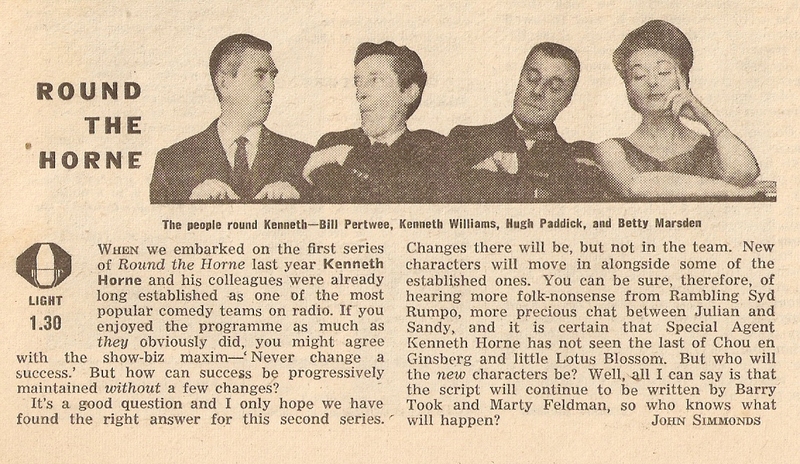 Joining Kenneth were Kenneth Williams, Hugh Paddick, Betty Marsden and Ron Moody (for the first series only). Bill Pertwee was drafted in as the utility man from the second series. The start of Beyond Our Ken - the first recording was 18 June 1958 - was nearly in jeopardy as just four months earlier Kenneth had suffered a stroke whilst on a business trip. His recovery was remarkably swift, though he now had a limp, and he was back at work on Twenty Questions just a couple of months later. However, his doctor was adamant, either give up business or give up radio. 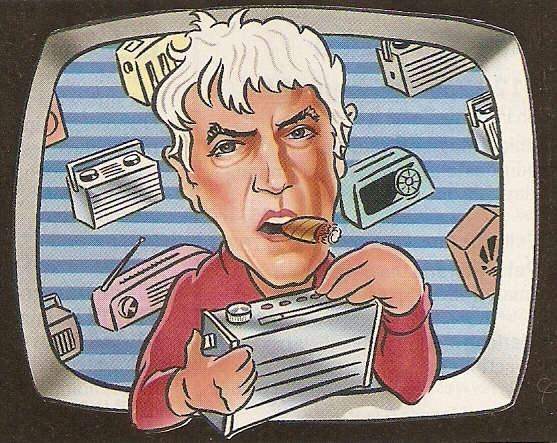 As we know radio won the day but he still maintained a fairly relentless pace of broadcasting work. Merriman and Took created some memorable characters for the show that, thanks to many repeats over the years, remain fresh today. Williams as Arthur "the answer lies in the soil" Fallowfield, Paddick as Stanley Birkinshaw with the ill-fitting dentures and Cecil Snaith the accident-prone BBC reporter, Marsden as Fanny Haddock, Rodney and Charles, Pertwee as Hanky Flowerd and extra lines for staff announcer Douglas Smith. Beyond Our Ken ran for seven series and 100+ programmes but after a couple of series Barry Took dropped out of the writing duties after some disagreements with his co-writer. Eric Merriman who continued to write alone for the next five series, a remarkable output. Understandably Eric felt that Kenneth's star status and the show's characters were very much of his making so the fall-out with the BBC in 1964 was unfortunate. Barry Took was called back along with his now writing partner Marty Feldman to come up with scripts for a new show for Kenneth. Initially reluctant to take it on they developed some ideas for a series they originally wanted to call It's Ken Again. 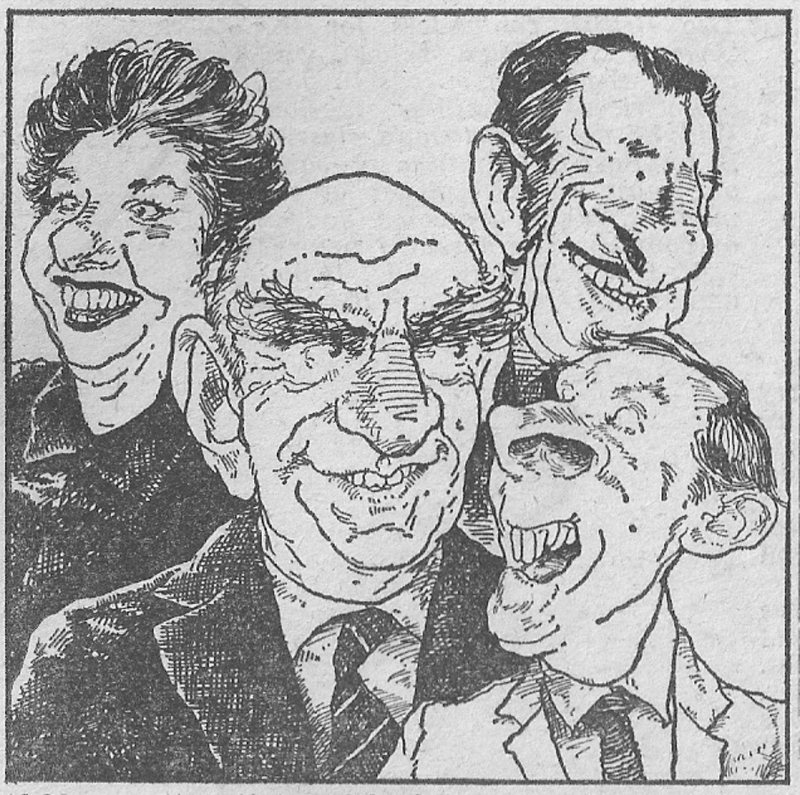 Round the Horne burst onto the radio in March 1965. It had many similar elements to Beyond Our Ken, not least the exact same cast, but was faster-paced, the situations were even more ridiculous and, embracing the permissive sixties, it was a bit ruder with no double entendre off limits. Took and Feldman revelled in funny names: Rambling Syd Rumpo, J. Peasemold Gruntfuttock, Chou En Ginsberg M.A. (Failed), Colonel Horrocks-Brown, Dame Celia Molestrangler, Daphne Whitethigh and so on. But by far the most popular characters were Julian and Sandy (names inspired by Julian Slade and Sandy Wilson) and their polari repartee with Horne. Hugh: Oh hello. I'm Julian and this is my friend Sandy. I've got me articles and he's took silk. Ken W: Frequently. Well, Mr Horne. How nice to vada your dolly old eek again. What brings you trolling in here? Kenneth: Can you help me? I've erred. Ken W: Well we've all erred ducky. I'm mean it's common knowledge, en it Jule? Kenneth: Will you take my case? Hugh: Well it depends on what it is. We've got a criminal practice that takes up most of our time. Kenneth: Yes, but apart from that, I need legal advice. Ken W: Ooh, isn't he bold? During the 1960s Kenneth wasn't just going down to the Paris Studios in Lower Regent Street for recordings of Round the Horne. He also took on a plethora of both tv and radio appearances, many of which were outside London. As well as the commercial televisions shows (above), for BBC tv there was the travelling quiz show Top Firm, the panel game First Impressions and Call My Bluff. For BBC radio as well as Twenty Questions he joined John Ellison as one of the question masters on Top of the Form, stints on Housewives' Choice and later Radio 2's World Quiz '68. "I'm only doing what I enjoy" he would protest even though he acknowledged that he was piling on the work commitments to the detriment of his health. There was also a lavish lifestyle to fund though, as his daughter Susan commented, "he was not very good at managing his finances... the money came in and went straight out again." Perhaps inevitably he was stopped in his tracks by another major health scare when in late 1966 he suffered a heart attack. Concerned that this might scare off future employment he played it down. His doctors note merely stated that he was "unfit for work" and when a newspaper leaked news of his illness it was reported as pleurisy. It was enough to delay what was to be the fourth and final series of Round the Horne which aired from February to June 1968. After the final Round the Horne he appeared in a couple of series of Horne A'Plenty, an unsuccessful attempt to bring the anarchy of the radio show to television but without the same cast to support him. Graham Stark took on the Kenneth Williams role providing the character parts but ultimately, despite scripts provided Took, Feldman, Michael Palin, Terry Jones and others Kenneth was uncomfortable reading the autocue and by the second series was very ill. Kenneth believed that ploughing on was the best remedy but he also followed the advice of a faith healer and stopped taking his prescription medication, with fatal consequences. On Friday 14 February 1969 Kenneth was booked to announce the winners at the awards ceremony of the Guild of Television Producers and Directors (now parts of the BAFTAs) at the Dorchester Hotel. The event was to be televised and shown later that evening on BBC1 with Michael Aspel as the host. Kenneth had the pleasure to announce the award of Best Comedy Script to his old chums Barry Took and Marty Feldman for the series Marty and was about to move onto the Best Scientific Award when he swayed and stumbled forward onto the dance floor. He'd suffered another heart attack. In a somewhat macabre black comedy moment one of the doctors on hand at the event was Charles Hill, the then Chairman of the BBC Governors and the wartime Radio Doctor. 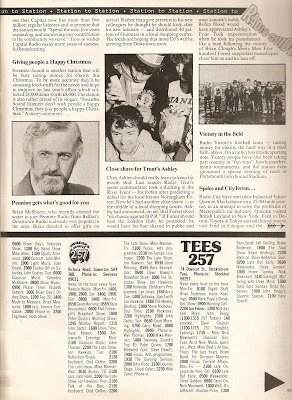 When the programme went out later that evening with the incident edited out Aspel baldly announced "Mr Horne was taken ill at this point and has since died". To sum up here's Barry Took: "No one who was involved in Round the Horne has ever been funnier - as funny possibly but never funnier - nor has their timing ever been smoother, or their delivery crisper. Kenneth Horne the super salesman, the benign managing director, the engaging companion, always got the best from anyone he worked with. Like all great leaders he commanded instant loyalty. If you asked the thousands of people who worked with Kenneth Horne, both in business and entertainment, what was so remarkable about the man, I'm sure they would talk of a special relationship that they enjoyed with him." 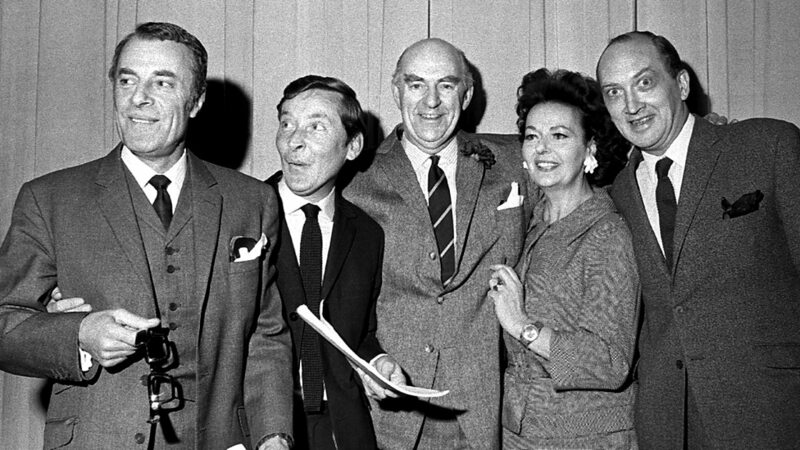 Such is the continuing affection for Kenneth Horne and the cast of Round the Horne that the show was voted the 3rd greatest radio show of all time in a recent (if controversial) Radio Times industry poll, and the top comedy show. In 2017 Tony Barnfield talked to Horne's biographer Barry Johnston on his Cambridge 105 show Roundabout. Here's that conversation liberally scattered with archive audio gems. This blog post was sponsored by Dobbiroids, the Magic Horse Rejuvenator. 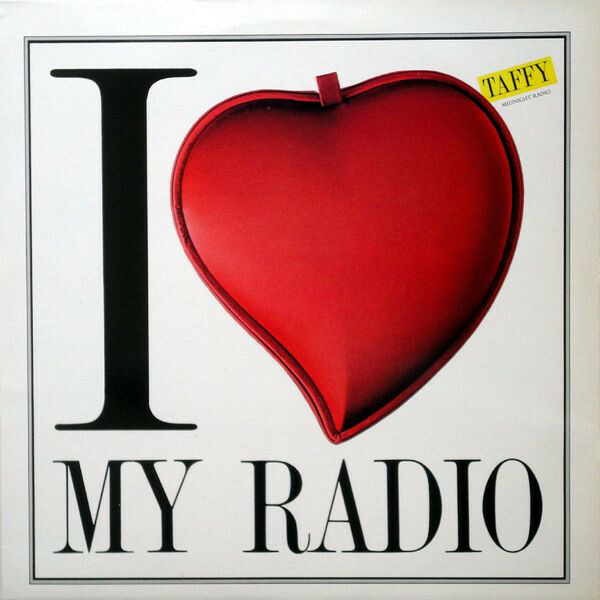 I see that tonight's Top of the Pops repeat on BBC Four plays out with Taffy's I Love My Radio (Midnight Radio). This generous slab of Italo disco was the work of the renowned Italian producer Claudio Cecchetto. The repeated chorus of "I love my radio, my midnight radio", sung by Deptford-born Katherine Quaye, aka Taffy, would guarantee radio play and the flip side of the 12" even included nine radio jingles. First released in 1985 it eventually charted in the UK in February 1987, reaching number 6. 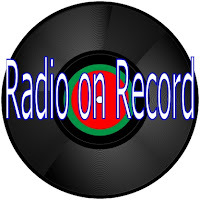 The UK version was remixed as I Love My Radio (Dee Jay's Radio) because, as the Wikipedia entry rather prosaically explains: "as very few radio stations in the UK broadcast after midnight in the 1980s, this reference in the record was changed." Nonetheless the cover credits numerous European, mainly Italian, radio stations as well as a few UK ones including Capital, Piccadilly, Clyde, City, Chiltern and London. In the battle for breakfast radio listeners (it seems almost obligatory to use the alliterative battle for breakfast beloved of headline writers) many of the major protagonists have moved on in the last few months. Christian O'Connell out at Absolute for new adventures down under. Greg in for Grimmy at Radio 1. Emma Bunton leaving Heart London. Shaun Keaveny making his #BreakfastExit at 6 Music. Over at Kiss Rickie, Melvin and Charlie are moving on to Radio 1. Meanwhile Bauer's new Greatest Hits Radio, replacing the City 2 brand this month, sees Simon Ross at breakfast across England. But of course the biggest headlines were reserved for Radio 2's news that Chris Evans was leaving 'Europe's most popular radio programme' for a new chapter at Virgin and that Zoe Ball was to become the station's first regular female breakfast show DJ. When Zoe starts next Monday she'll only be the station's sixth breakfast show presenter in over 40 years, a statistic that does, of course, includes the 28 years in which Sir Terry was at the helm. I thought I'd take this changing of the guard as an opportunity to look at Radio 2's breakfast shows over its 50+ year history. In fact we have to trace the history we have to go back a little further, back to the 1940s. 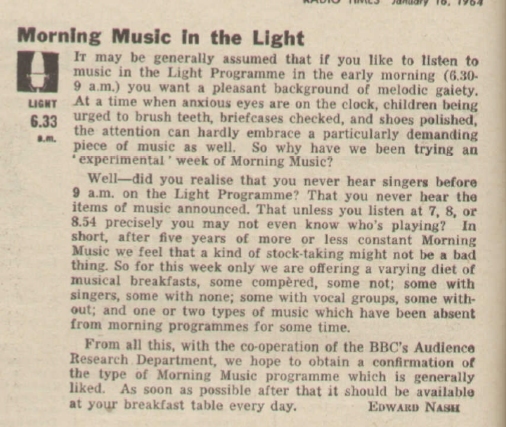 Early morning sequences of gramophone records first appeared on BBC radio during the Second World War as a way of kick starting a war-weary nation and there were also short sessions of calisthenics billed as Up in the Morning Early with exercises for men and for woman complete with piano accompaniment. a "pleasant background of melodic gaiety"
Recordings of some of these shows can be found on the Masters of Melody website. Listening to them you get the clear impression that the BBC wanted nothing raucous. It was all very civilised and designed to gently wake up the country and get them off to work or start the housework just in time to catch Housewives' Choice. The big impetus for change was the arrival of offshore pirate radio in 1964 and the gradual shift towards personality-driven radio. 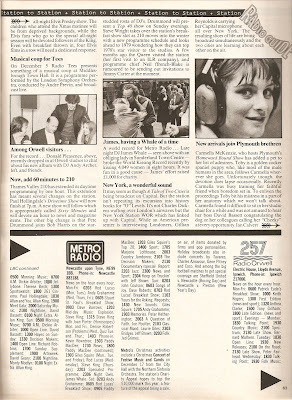 The BBC responded in August 1964 with a named announcer assigned to each edition of Morning Music and the introduction of a record show Family Fare at 8 a.m. As well as the recorded sessions listeners were promised the excitement of "some records." 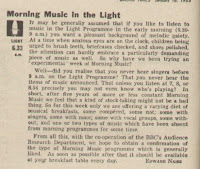 In October 1965 these different morning programmes were all lumped together in one show, known as Breakfast Special, that ran from 5.30 a.m. to 8.30 a.m. Needletime restriction meant that the bulk of the music was provided by orchestras and groups with the addition of singing groups plus some discs. 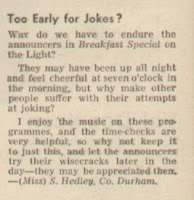 More chat between items was allowed, even if some listeners didn't appreciate the wisecracks (see below) from the programme presenters who were drawn from the rota of continuity announcers. 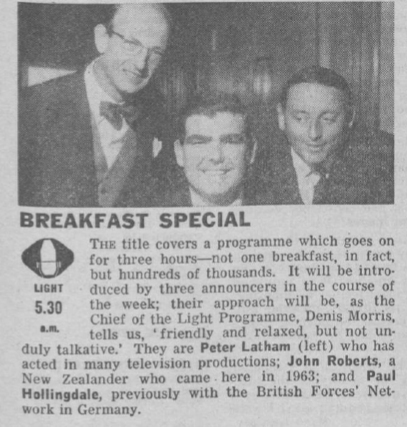 Even with the introduction of Breakfast Special the notions of personality radio, familiar voices heard day in and day out, and of building a loyal audience were ones that the BBC either avoided or just weren't bothered about. Eventually, by the time Radio 2 came on the scene in 1967, the team of announcers presenting the show was whittled down to a core of John Dunn, Paul Hollingdale, Peter Latham and, on Saturday morning, Bruce Wyndham. 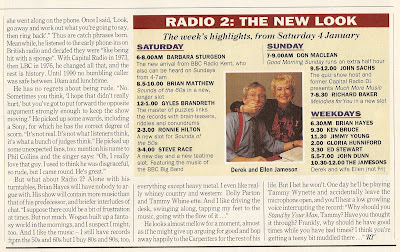 They were supplemented by Ray Moore following the launch of Radio 2. Meanwhile over on 'swinging' Radio 1 Tony Blackburn was pulling in large and appreciative audience for his lively new breakfast show. 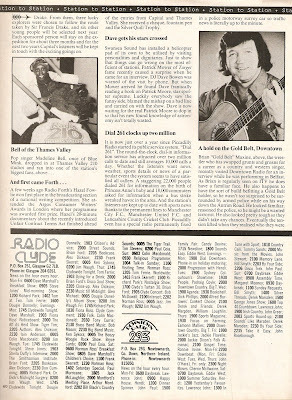 The difference was quite marked as these recordings of Breakfast Special in 1970 with Paul Hollingdale (and a little bit of Ray Moore) show. The producers of Breakfast Special eventually cottoned on to the fact that listeners loved hearing the same voice everyday and that the show would become part of their daily routine. 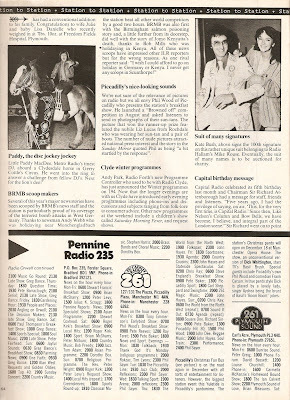 By the early 70s Ray Moore and John Dunn would take care of the programme for weeks at a time. This was years before the zoo format so Breakfast Special duties not only included presenting the three and a half hour show but reading the news (at least initially, later an additional announcer was drafted in to read the news and sports bulletin) and travel bulletins too, only throwing over to the likes of Vick Walters at the London Weather Centre for the forecast. The next big shake-up was in 1972 when Head of Music Mark White asked Terry Wogan to move from Radio 1's afternoon show to Radio 2's breakfast show. Mark was the man who had given the OK to Terry's audition tape back in 1966 and his first shows on the Light Programme. 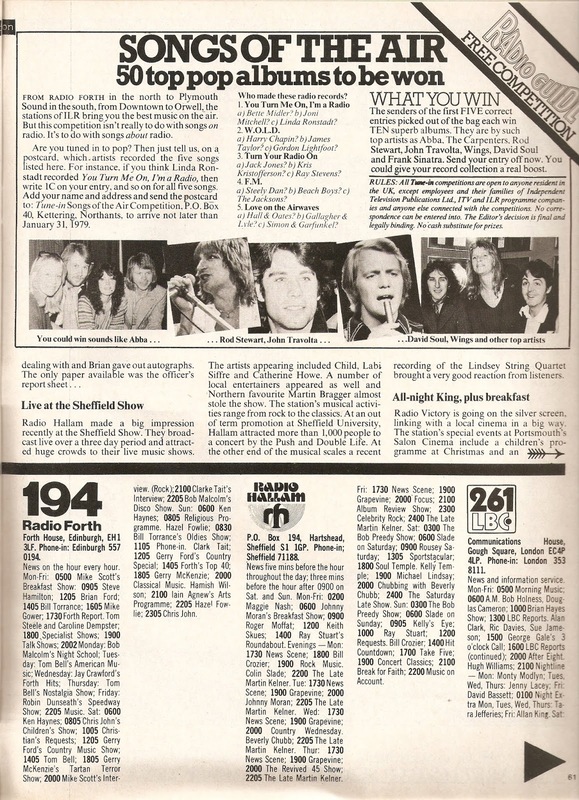 By 1972 the plan was to drop Breakfast Special and split it into two: opening the day with The Early Show hosted by a staff announcer (initially a number of them for a few weeks at a time and then from 1974 Simon Bates and from 1976 Colin Berry) and then Terry with a breakfast show. Terry recalls that "I was not to everyone's taste, though, over the wheatybangs. John Dunn had been the previous incumbent. Soft-spoken, urbane, with impeccable diction and manners, he was a perfect English gent; who was this Irish gobdaw, with his ridiculous exercises, upsetting the British Breakfast?" Those "exercises" were the Fight the Flab feature he'd started on the afternoon show, shades of Up in the Morning Early. Another feature was to follow the morning racing bulletin with what became known as Wogan's Winner though the "nags I back rarely trouble the judge." Over 12 years Terry developed a rapport with his audience that had probably not been seen before, letters, poems and comic song lyrics poured in. Fun was to be made at the expense of BBC management and their bizarre Broadcasting House rooftop rituals and what was on the telly, especially US soap Dallas. There was the Floral Dance, son of Fight the Flab, Hello Chunky and pre-show chats with Jimmy Young. 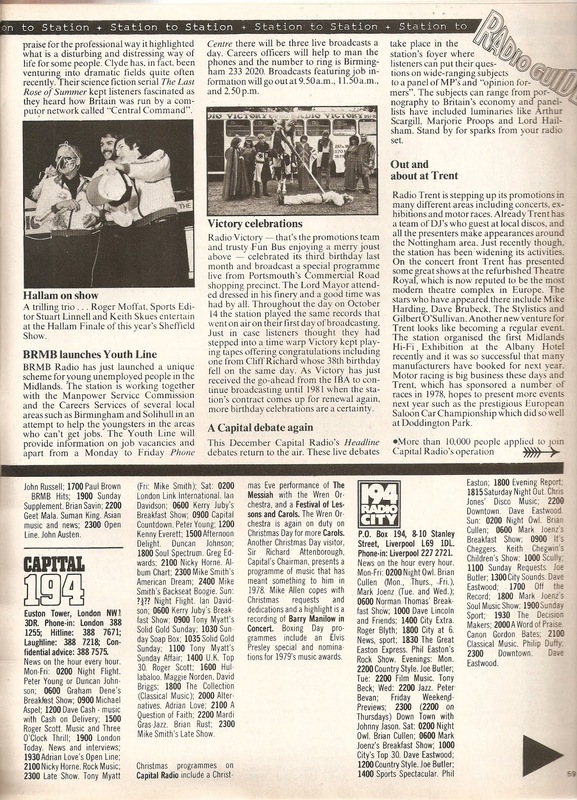 Here's an early example of Terry's show from April 1973. 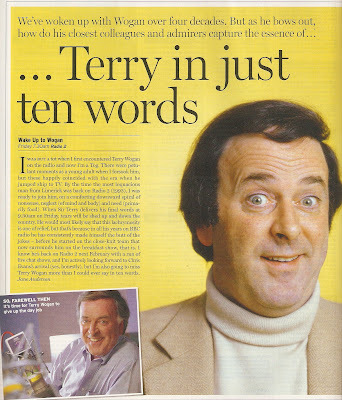 All this ended in December 1984 when Terry stepped down from the breakfast show to prepare for the new thrice-weekly BBC1 chat show Wogan. Here's how Terry signed off. Terry's replacement was a little unexpected, not least by the man himself. 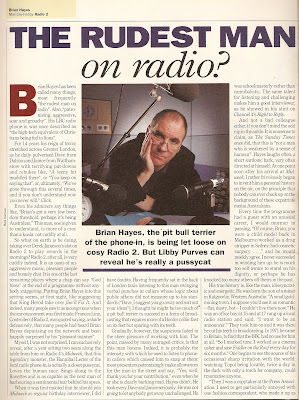 Ken Bruce had been working on Radio 2 for a couple of years covering the Early Show and presenting a Saturday late-night show when he got the call from controller Bryant Marriott. Initially unsure, "I was taking over from an icon", he accepted the gig. Others in the frame were his mate Ray Moore and David Hamilton. Starting on 7 January 1985 the show times were rejigged with a later start time of 8am, an odd decision for a breakfast show (in fact a long 8 a.m. bulletin meant that Ken didn't actually start the show until 8.07 a.m.), and ending at 10.30 a.m. in time for the JY prog. The new programme was pretty much music all the way with Radio 2 management reluctant to countenance many other programme elements. 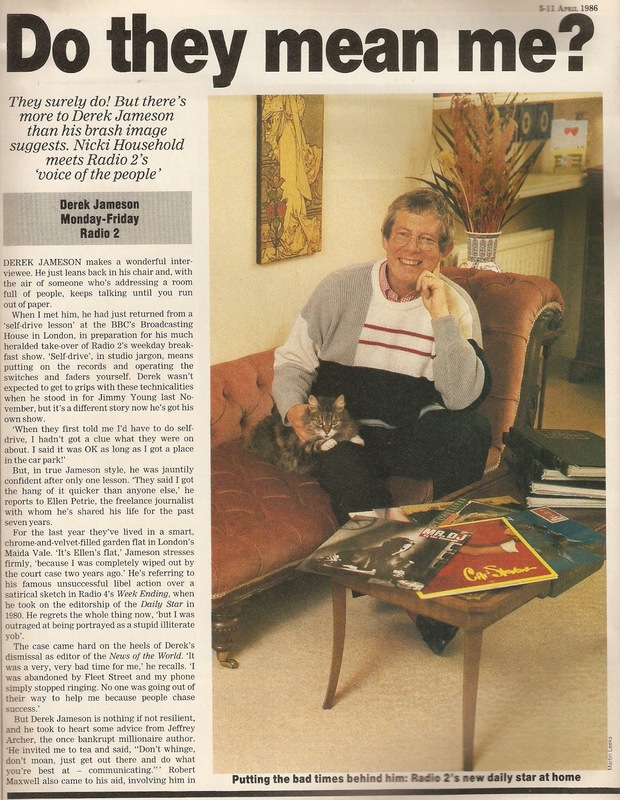 Ken recalls that a request to have a selection of newspapers in the studio to allow more current and informative subject matter was turned down "because Gloria Hunniford sometimes reads out snippets on her show". Perhaps the budget was spent on the lyric competition which offered winners a Ken Bruce eggcup! Here's Ken in action on 14 November 1985. 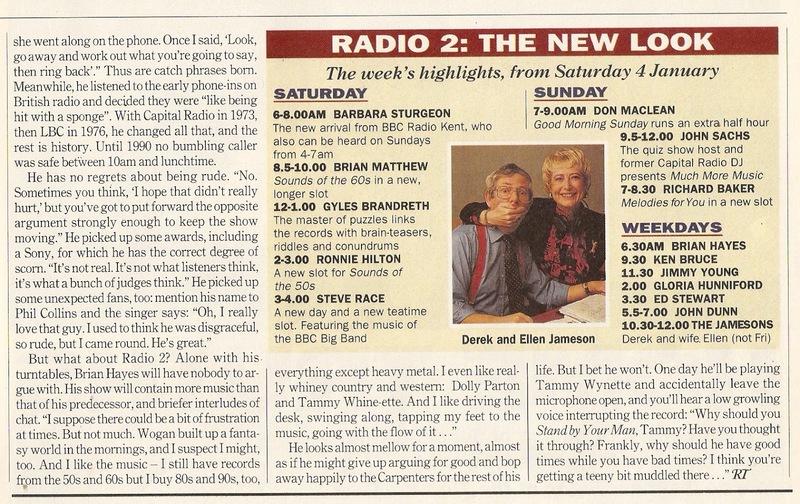 The next presenter was something of a left-field choice for Radio 2, that of former Fleet Street editor Derek Jameson. The head of music Frances Line was convinced that Ken was more suited to a mid-morning slot, which is indeed where he ended up and has been ever since, and she seemed to be instrumental in bringing Jameson into the fold. 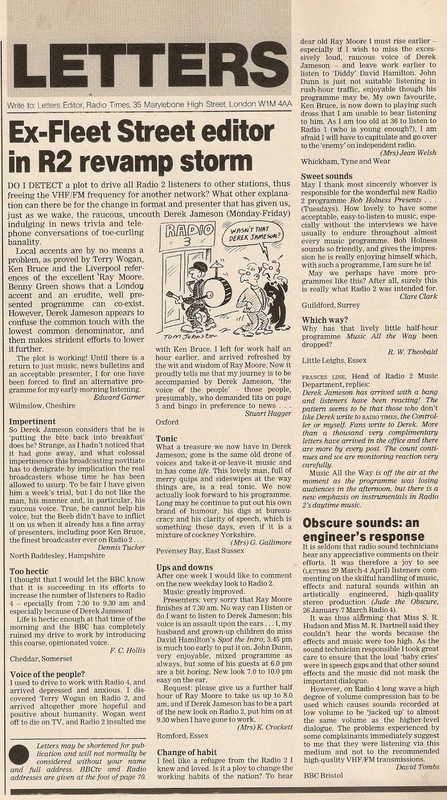 The reasons for Jameson's appointment stem back to March 1980 and a sketch on Radio 4's Week Ending in which Jameson was described as "an East End boy made bad", who thought that "erudite was a type of glue". He didn't see the funny side of this and took legal action against the BBC. It took four years to come to court and in February 1984 Jameson lost the case and had to pay legal fees of £75,000. Apparently as a goodwill gesture the Corporation started to offer him work such as the BBC2 show Do They Mean Us? 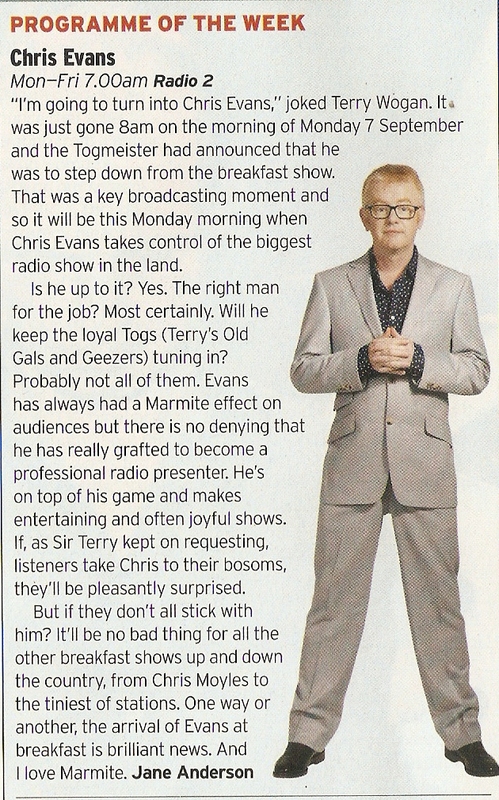 and a regular slot on Radio 4's The Colour Supplement. In November 1985 he was asked to cover for Jimmy Young for a week and provoked such a favourable reaction that he was offered the breakfast show. Here's the first half hour of Derek's first show. If listeners had got used to Terry's whimsy and blarney followed by Ken's chuminess and dry humour then they were in for something of a shock with Derek Jameson. Now it was a gruff "mornin', mornin', Jameson 'ere!" and a show peppered with news items and interviews, though not with "the obvious bigwigs. I shall be talking to people who've got a story to tell." The BBC seemingly now had that newspaper budget. Radio 2 listeners are (mainly) not a happy lot. 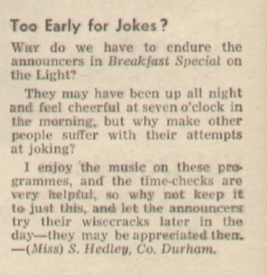 Reaction was mixed with letters to the Radio Times going from "raucous, uncouth ...indulging in news trivia and telephone conversations of toe-curling banality" to "a lovely man, full of merry quips and sideswipes at the way things are, is a real tonic." This clip comes from 18 October 1989. 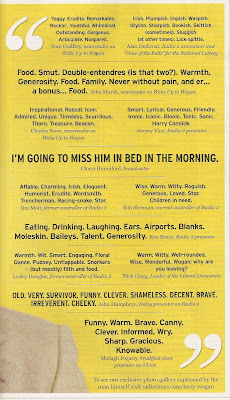 Programmes from the self-styled 'bunker' saw a step up personnel, both on-air and behind the scenes with former Radio 2 newsreader Vivien Stuart joining Derek as 'weatherwoman' and two (later three) producers, initially Brian Stephens and Anthony Cherry, plus a researcher, with another former Radio 2 newsreader Ruth Cubbin working on the show for the first year or so. 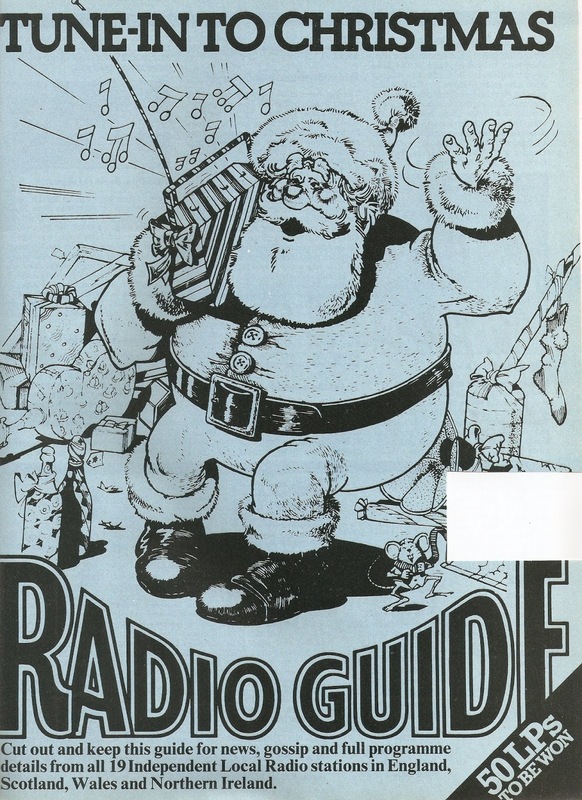 There were a number of OBs including this pre-Christmas edition from Gatwick airport on 21 December 1990. 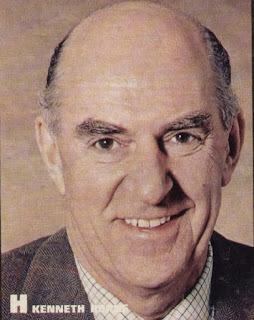 Amazingly Derek Jameson's tenure at breakfast lasted six years - his last show was on 20 December 1991 - before he was shunted off to a four nights a week late-night show with his missus. There were, according to Ken Bruce, two schools of thought on this move. One that Derek and Ellen would make a "quirky on-air team" and would be a way of diversifying production bases as it was to come from the Glasgow studios. Theory two was that they offered him a package "so insulting he would resign" due to the move north, the reduction in hours and the splitting of the fee. Nonetheless. they bought a flat in Glasgow as a base and the late-night The Jamesons ran for five years. Libby Purves speaks to Brian Hayes. Next up was Brian Hayes, at the time best known to listeners in London for his long-running LBC phone ins and acerbic style. Brian had been introduced to national BBC listeners in 1991 covering for Jimmy Young (something he'd do almost a decade later when Jim was unwell prior to his 'retirement') and as a guest interviewer on Radio 4's Midweek. This is the start of Brian's first Radio 2 breakfast show on 6 January 1992 which promised "more music and less speech" and adopted the title Good Morning UK. The attempts at mixing news elements and music seemed, at first. a little half-hearted and missed some of the verbal jousting with callers and guests that Brian had built his reputation on at LBC. Whilst the shows did pick up during the year behind the scenes Terry Wogan was itching to get back to radio , his TV chat show having ended and replaced by the ill-fated Eldorado. As a result Brian's tenure was short lived and ended in the December. 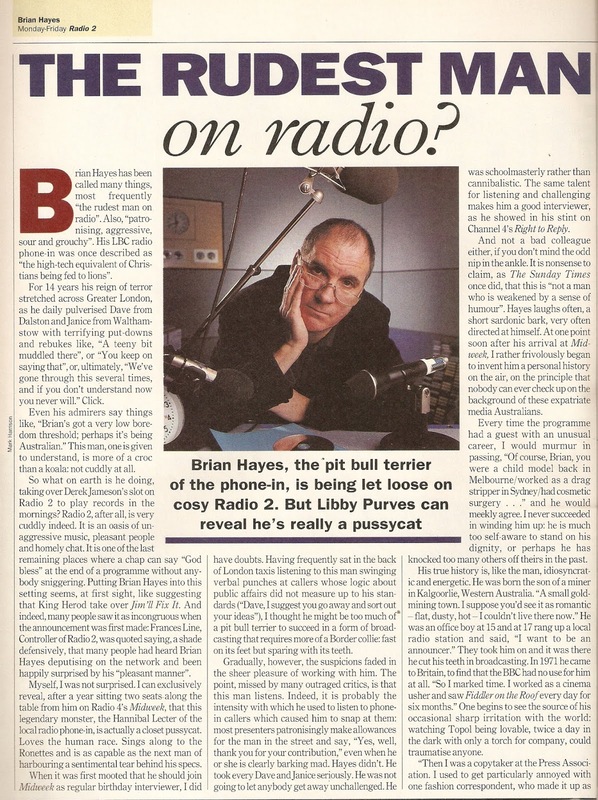 By way of consolation he was given a weekly phone-in on the station, Hayes Over Britain that ran for four years and later he appeared on Radio 5 live with a weekend breakfast show and other programmes until 2006. And so it was that Terry returned to the breakfast show in January 1993 "my heaven it's good to be back....he lied". Here's how he sounded on day one. For the next 16 years Terry was at the top of his game. 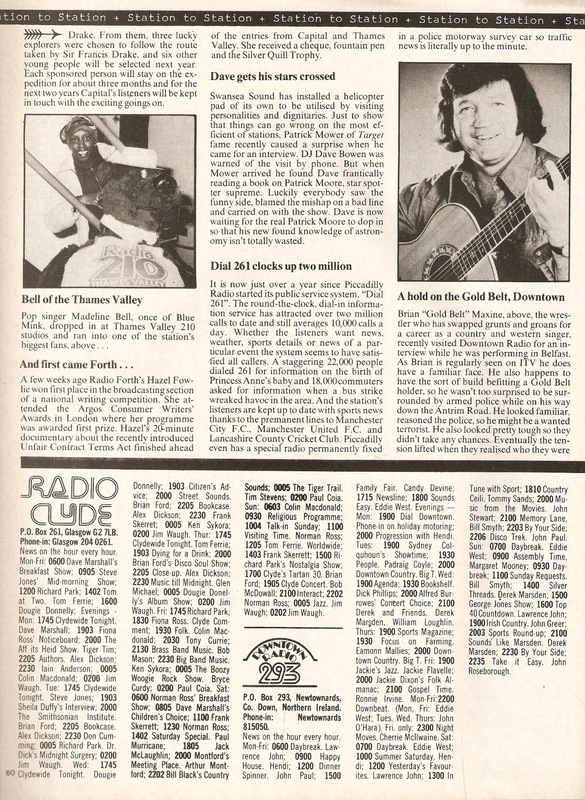 The show developed from giving away alarm clocks (WUTWACs), to the near the knuckle Janet and John stories, the faithful band of TOGs, studio support from Dr Wally and then 'Barrowlands' Boyd, a coterie of newsreaders whose lives, real and imagined were woven into the show. I've uploaded just over 20 of Terry's shows (many as podcast versions) on YouTube and there are more than a dozen on Mixcloud from myself and other users. The latest upload from me is this complete show from 28 November 2006. 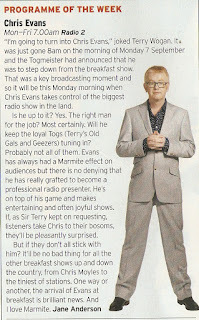 Although Terry's position at breakfast was unassailable Radio 2 management were thinking about the inevitable day when he'd step aside as far back as 2005 when Chris Evans was bought into the BBC fold. 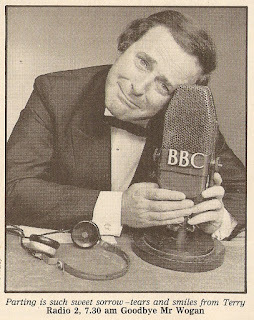 Initially with a Saturday afternoon show, in 2006 he was offered drivetime by Lesley Douglas (the then Controller) and told, according to Evans, "if and when it [breakfast] becomes available, and if you've behaved yourself and things have gone alright on drivetime - who know?" Sir Terry bows out (for a second time). Wogan later intimated that he would leave the show at the end of 2008 but when the so-called Sachsgate episode erupted he was asked to stay on a help 'steady the ship' for a little while. In the event Terry remained for another year and made bade an emotional farewell on 18 December 2009. It was the end of an era. It was inevitable that when Chris Evans took over the breakfast show many listeners would miss the calm, collected tones of Sir Terry and that Evans approach was just too shouty. 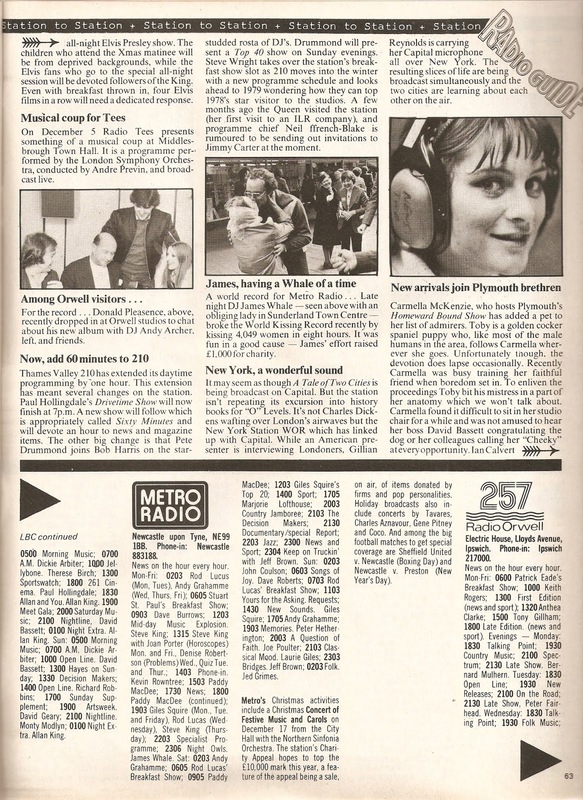 In an attempt smooth the transition for TOGs that tuned in, Chris started the first show with The Beatles and Frank Sinatra, assuring listeners that there'd be no "turbulence" and re-introducing Moira Stuart back to the station as the programme's newsreader - she'd read the news and presented overnight shows on Radio 2 back in the early 80s. Also as part of the on air team was travel reporter Lynn Bowles, who'd been such a major part of Terry's shows, and coming over from drivetime Jonny Saunders with the sports news. Fears that Radio 2's listeners would drain away proved unfounded but there's no doubt some of Terry's old listeners did tune-in elsewhere on the dial. The show slowly evolved with more studio guests, including the Friday editions packed with live music, 500 Words, CarFest and the continued support for Terry's beloved Children in Need. Sadly a tendency to trample all over the music didn't change. This was Chris's first show. 2018 proved to be a difficult year for Radio 2 with the turmoil over the drivetime show which led to the departure of once of its best broadcasters, Simon Mayo and the shock announcement from Chris Evans that he was leaving to (re)join Virgin Radio. "I crave the uncertainty" he would say on his final show. There was much speculation as to his replacement with money going on Sara Cox (once described back in 1999 as "the next Zoe Ball") who did such sterling work when depping on the show. 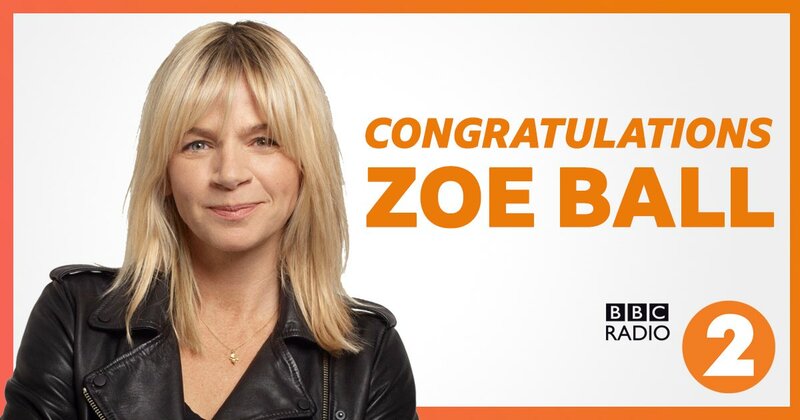 But instead Radio 2 plundered yet another of the Radio 1 breakfast show alumni, Zoe Ball. This is Chris's last breakfast show as broadcast on 24 December. Zoe Ball's association with Radio 2 started in earnest in 2009 when she covered for Ken Bruce (although she'd first appeared briefly in 2006) and presented a Saturday early show between 2009 and 2012. She was back in 2017 with a Saturday afternoon show that ended just before Christmas. In 1997 Zoe was employed on Radio 1's breakfast show to fall out of the clubs and into the studio, "blonde, bouncy but also ballsy" according to one headline of the time. Now her role for Radio 2 is critical: holding on to that large inherited audience and being the cornerstone of a new schedule that has, in part, been forced on the station and is, in part, self-inflicted. And in a neat bit of serendipity the 'battle for breakfast' mirrors the 1997 face-off between Zoe at the Beeb and Chris at Virgin. Fascinating times for radio. You'll be able to hear Zoe's first show next Monday at 6.30 a.m..
With a career spanning seven decades Tony Bennett is the last of the American singers who goes back to the big band era. Most of his contemporaries - Sinatra, Ella, Ray Charles, Mel Tormé, Vic Damone - are sadly no longer with us. He's survived the rock 'n' roll and pop era and has come back time and time again, most recently enjoying success with the Grammy award-winning Duets albums. His most recent album Love is Here to Stay, a collaboration with Diana Krall, was released in September. 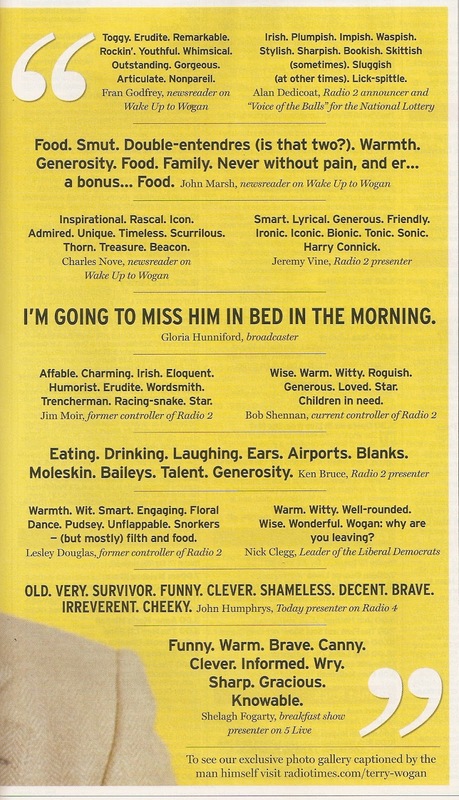 For Christmas in 2001 Tony recorded a show for BBC Radio 2. This was relaxed easy listening with Bennett acting as DJ and playing some of his favourite music from Bing to Billy Joel, from Dinah Washington to Stevie Wonder plus some of his own recordings mixed in for good measure. 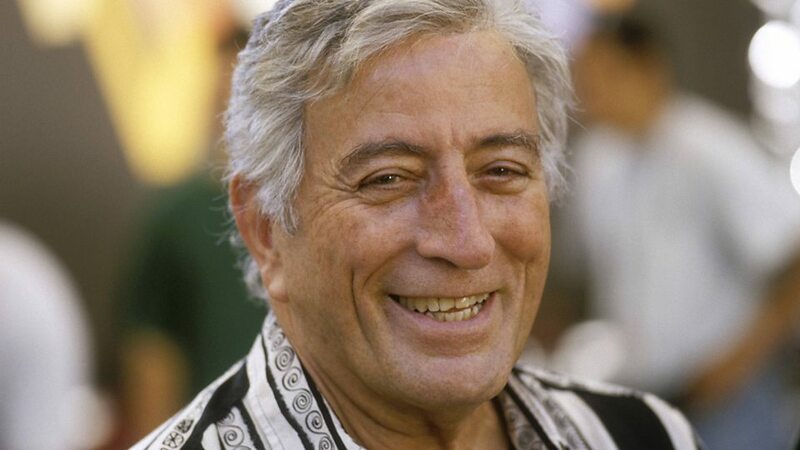 Sit back, pour yourself a drink and wallow in some classic music and reminiscences from Tony Bennett. First broadcast on Sunday 30 December 2001. Thank you to Paul Langford for passing this recording on to me. And if love this kind of music you were probably a listener to those Sunday night shows from The David Jacobs Collection. Here's a festive themed programme with David from 23 December 2007. 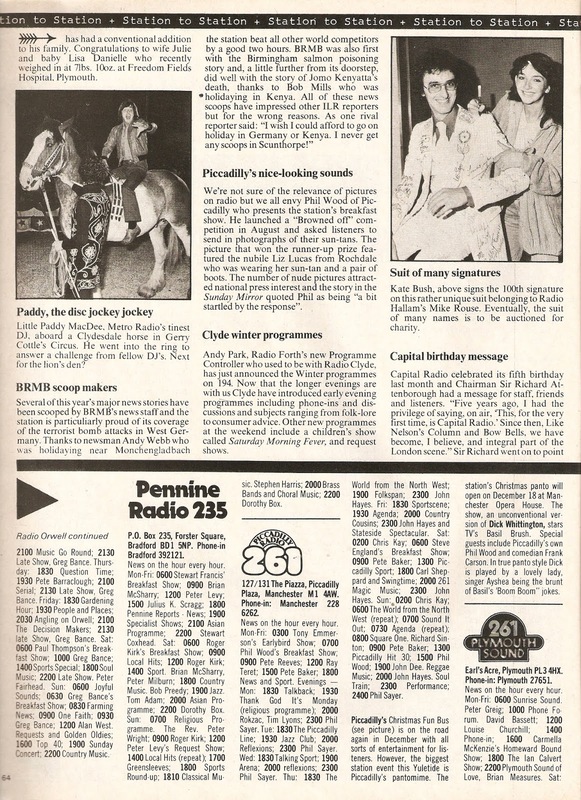 Both the novelty value (there was an in-vision edition of In Town Tonight as far back as 1954) and the necessity (stereo broadcasts of Top of the Pops or In Concert) of radio and TV simulcasts has long since passed, occasional 'Red Button' broadcasts of Sounds of the 80s aside. 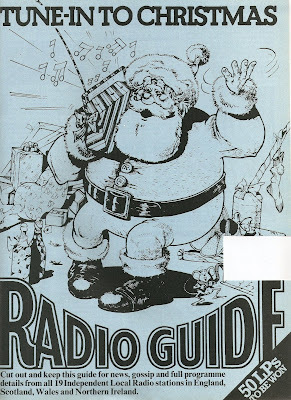 The Arena Radio Night of 18 December 1993 was one such simultaneous transmission but one with a subtle difference. BBC2 offered pictures and sound whilst Radio 4 gave us a slightly different but complementary soundtrack. 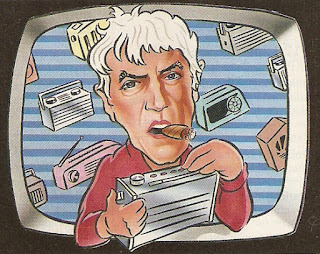 The box in the corner, voiced by Peter Cook, would have conversation with the radio, the voice of Josie Lawrence, but you'd only hear both sides if you had your television and wireless sets lined up together. 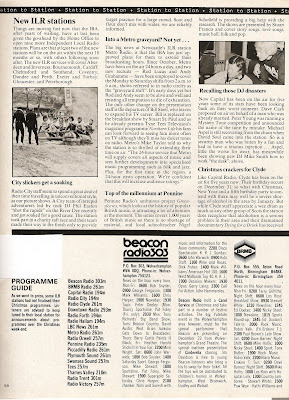 (Memories of the those Saturday morning stereo test broadcasts using BBC tv and Network Three for those that go back that far). From the folk behind the long-running arts programme Arena in purported to show "how the two media have competed over the years, and which medium does what best". In fact it was a celebration of radio with typically quirky mini-features and narration. The evening's entertainment was headed by an introduction from David Attenborough. In this sequence I've overlaid the radio soundtrack at various points. You'll immediately recognise the voice of the announcer during the programme as Peter Donaldson. In Heard But Not Seen we are treated to a special Letter from America from Alistair Cooke, introduced by Mark Tully. The short film The Time Signal was an unusual look at the pips and was presented by Dr Carl Dolmetsch, aka 'Mr Recorder'. Taking a humorous look at early football commentary was Back to Square One, a film by Steve Bendelack. The cast is Philip Pope, Alistair McGowan, Jon Glover, Andy Parsons, Christopher Driscoll and Marion Sumerfield. 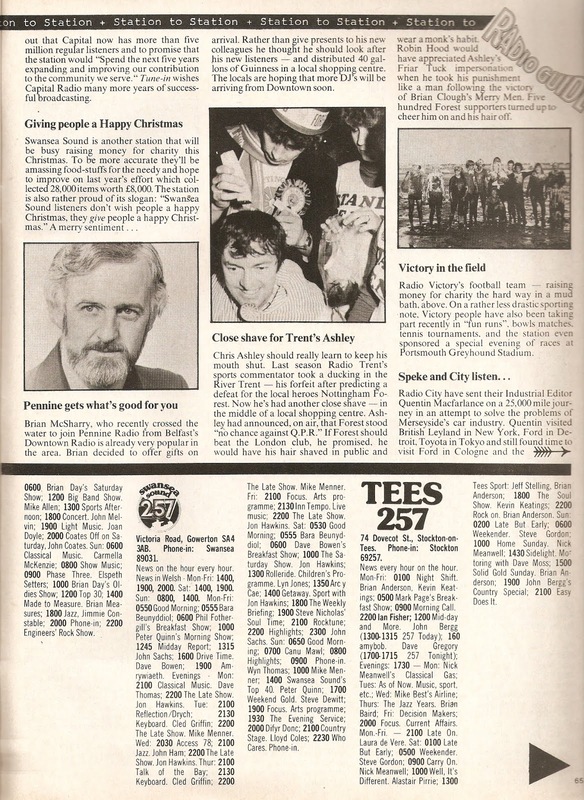 There are contributions from Alan Green, Robert Hudson and John Motson. Memories of Sunday lunchtime meals and radio shows were evoked in the piece Sunday Dinner. In this upload I merged the BBC2 and Radio 4 sound. One of the undoubted highlights of Radio Night was the reading of the Shipping Forecast on both TV and radio, the one and only time this has happened. Doing the honours was continuity announcer Laurie MacMillan. This remains the most viewed upload on my YouTube channel with nearly 163,000 views. I'll post more clips as and when I get the opportunity and also overcome some copyright restrictions. Tracking down programme schedules for the original ILR stations is a bit of a hit and miss affair. 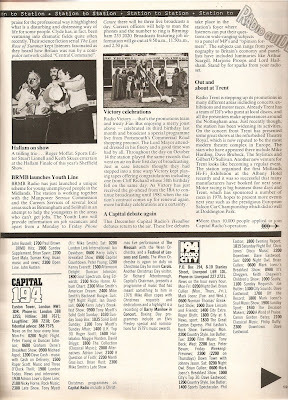 They were never granted any column inches in the TV Times as the ITV contractors had little vested interest in the stations, though ATV, Granada and Scottish did have minority holdings in BRMB, Piccadilly and Clyde. 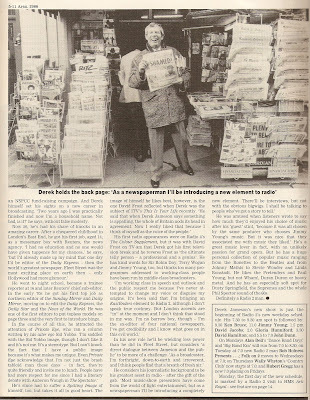 Local newspapers would carry listings and each station would often publish publicity leaflets or their own mini newspaper. There was some coverage in the NME as I recall and between 1972 and 1975 we had the subscription-only Script "the magazine on alternative radio" whose remit covered the offshore and land-based pirates as well as both commercial and BBC local radio. 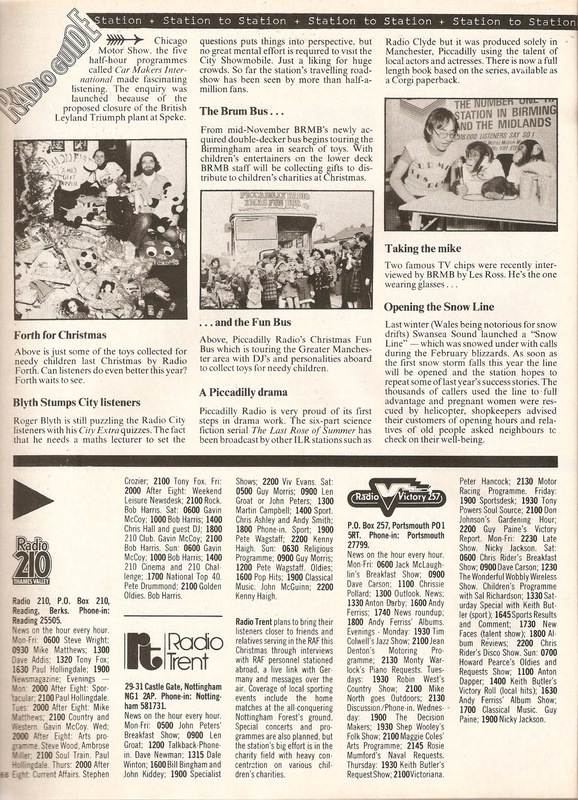 Re-titled Radio Guide in 1975, by 1976 it dealt exclusively with the ILR stations and later that year was published by Independent Television Publications, the association of ITV companies behind the TV Times. As a stand-alone ITP magazine it was short-lived and in 1978 became part of the quarterly Tune-in (a TV Times Extra). In 1980 that too was dropped just on the point when the network of stations was expanding beyond the initial nineteen. So what was on your local commercial station forty years ago? 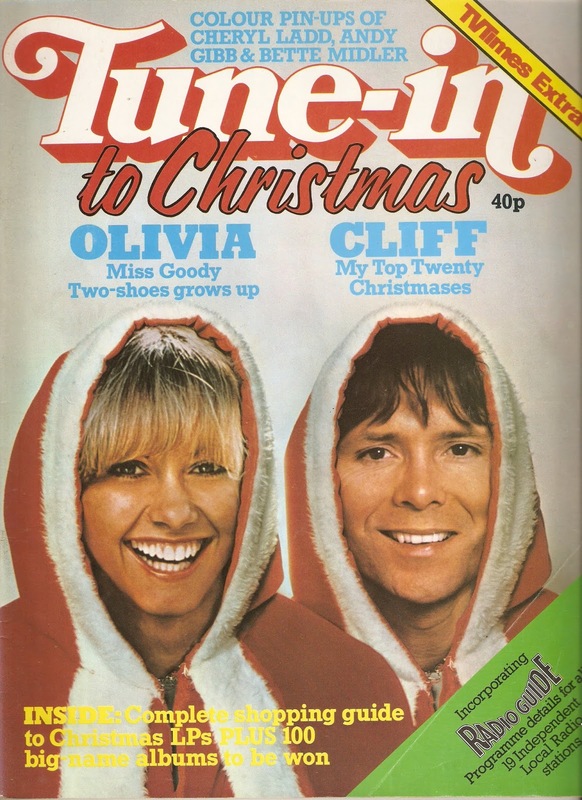 The Christmas edition of Tune-in features cover stars Olivia Newton-John and Cliff Richard. The Radio Guide, from Beacon to Victory, features dozens of familiar names though I reckon there's no more than a handful still regularly on-air.